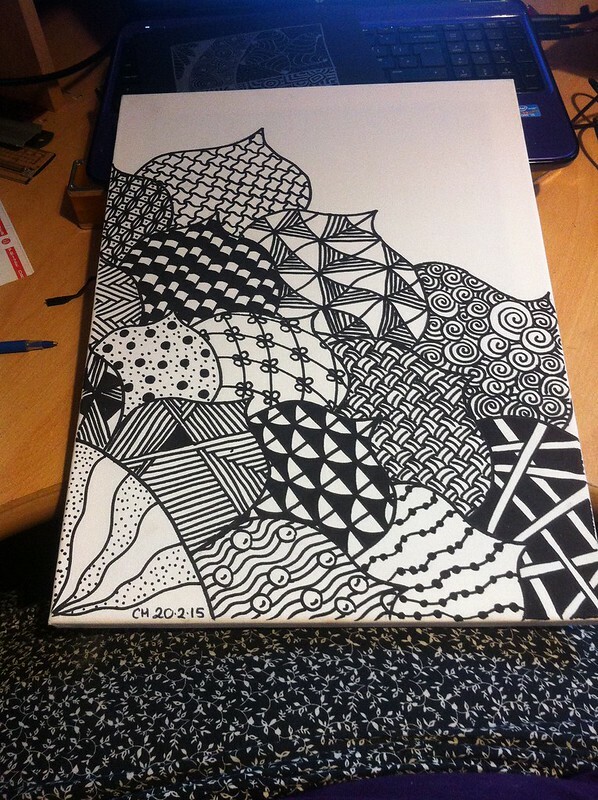 I’ve seen around the internet quite a few beautiful pieces of Zentangle on canvases, and I wanted to do one so much that I added “Zentangle a canvas” to my Bucket List (#248). And I finally got around to doing it. I like it, except that I have a few quibbles with it. Firstly, I shouldn’t have drawn the outline in pencil first. Also, I’d meant to combine it with item #188 on the Bucket List: “Make a time lapse video of one of my art pieces”, except that I forgot. 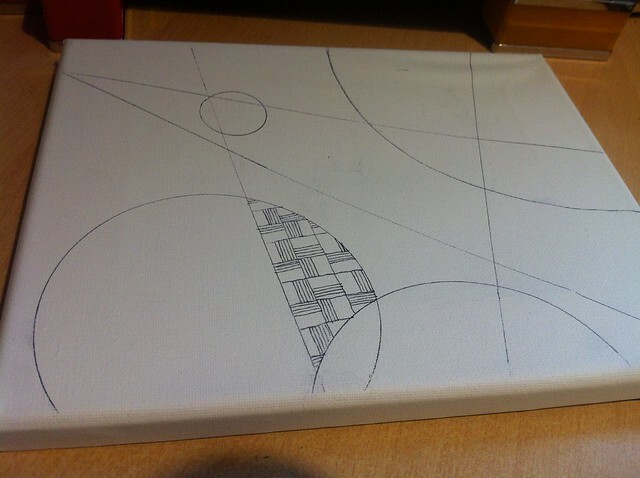 So I determined to make a second Zentangled canvas at some point in the future. 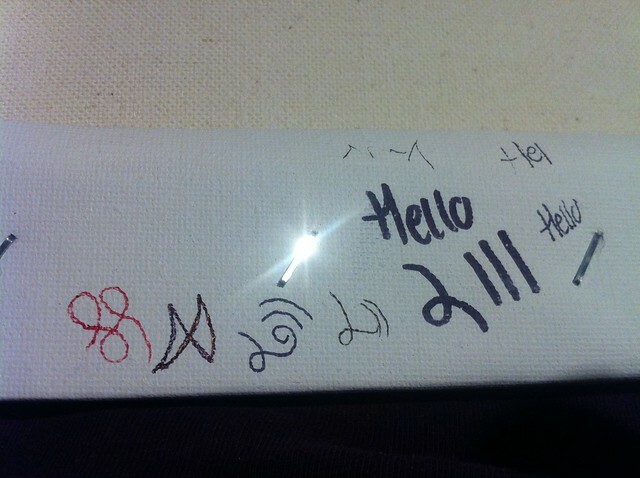 Then, in a twist of wonderful fate, a swap partner sent me two canvases in a package crammed pack of crafty bits and pieces! So I made a plan. I put two pieces of tape on my desk, so I could position the piece in the same place for every photo. Which is when I encountered a problem. 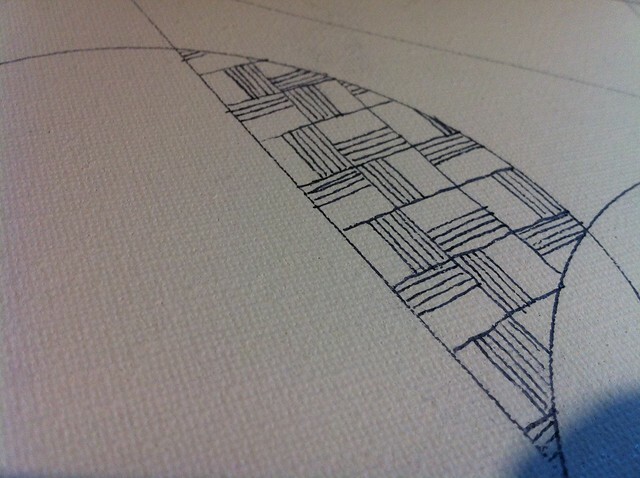 Without something solid beneath the fabric of the canvas, it’s hard to get a decent line. 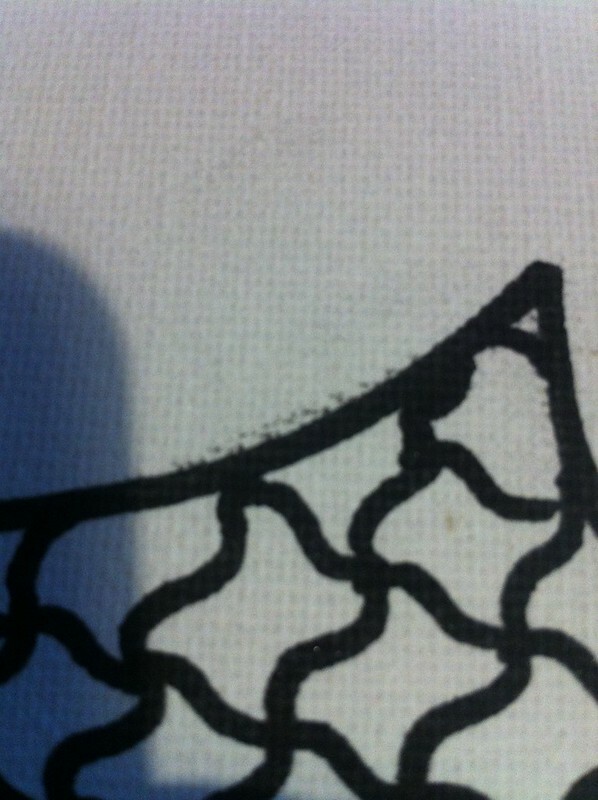 Not solid enough, and over the tiny bumps it’s hard to get a straight line. So now I’m not sure what to do. 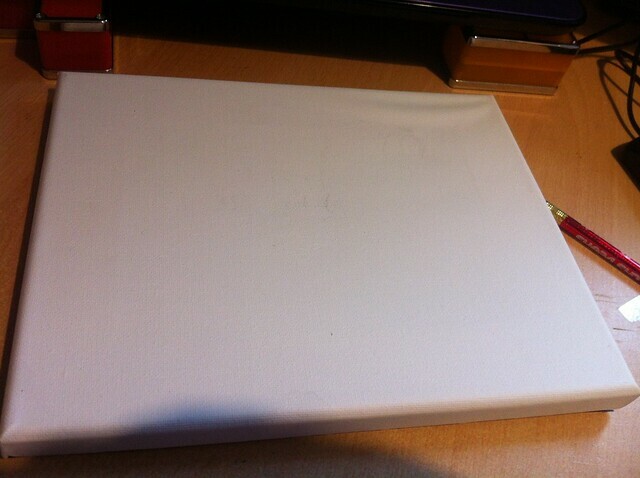 I could use the pen I used for the first piece, but it’s far too thick to do detail. Do I need different pens? 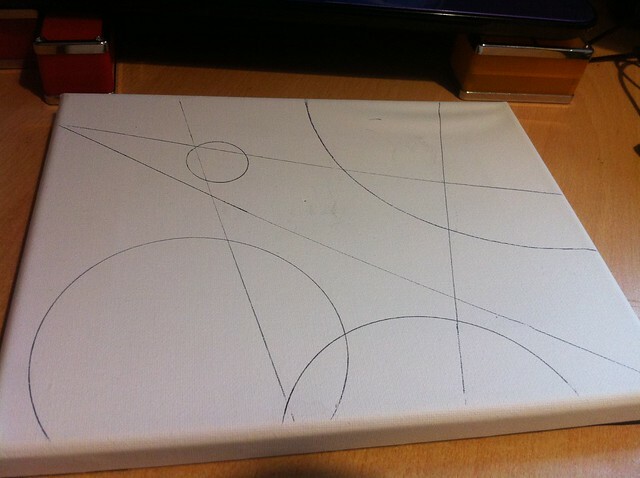 Or a different canvas? I have absolutely no idea right now! But I’m working on it.